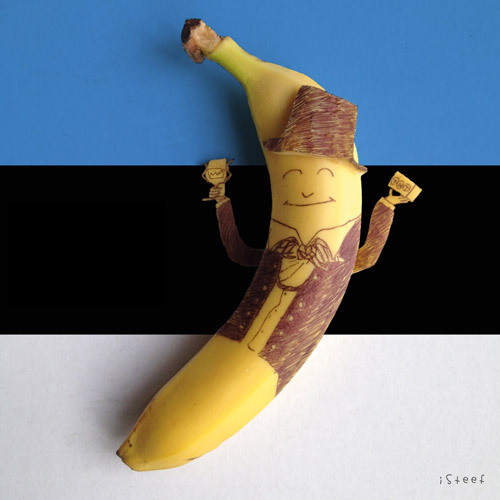 After seeing my banana art on Borded Panda TNT Express reached out to me to collaborate with them on their current ‘Blue Banana’ campaign. 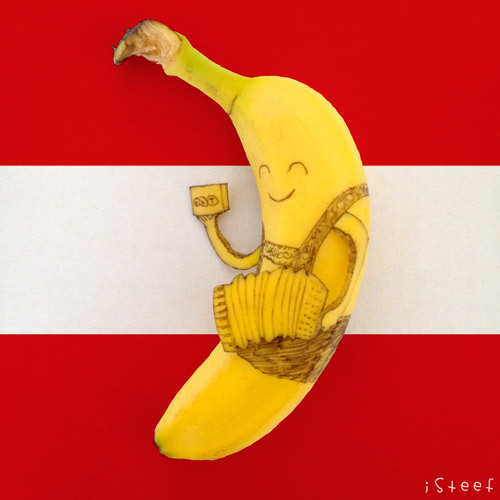 The large marketing campaign was designed to support export shipments of parcels and freight to the United Kingdom, France, the Netherlands, Belgium, Luxembourg, Germany, Austria, Switzerland and Italy. 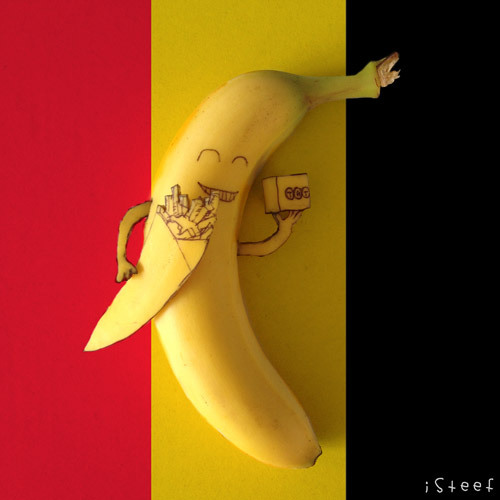 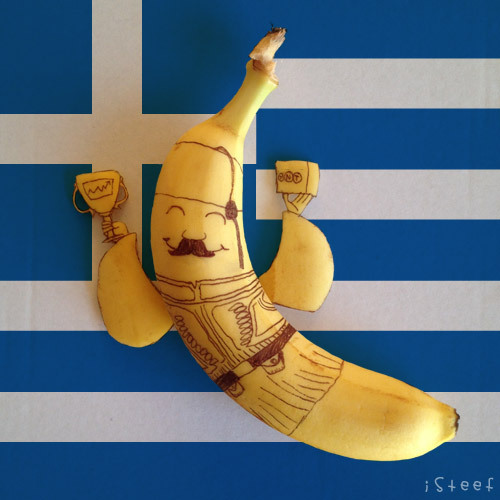 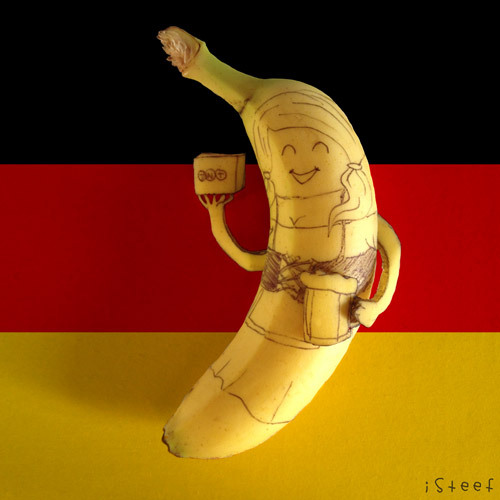 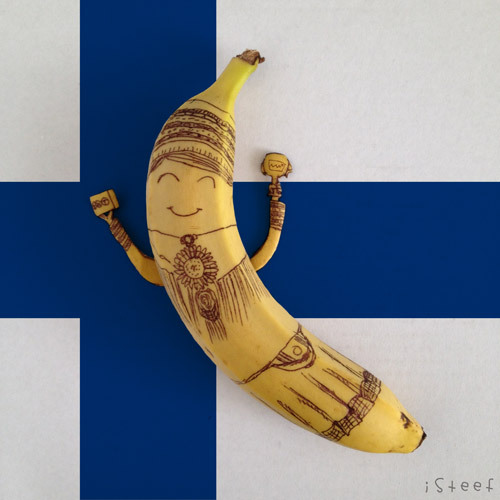 That area is also know as the ‘Blue Banana’, blue because of the European flag and banana because of the shape. 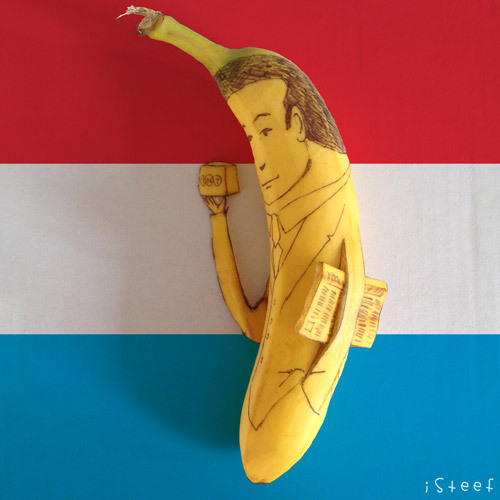 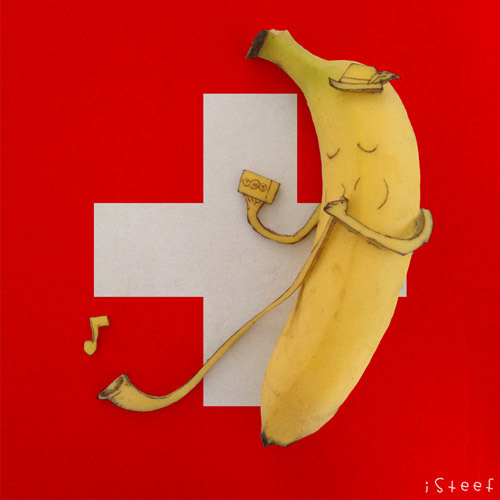 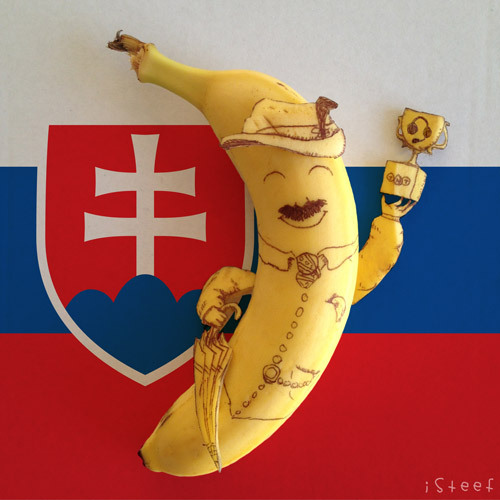 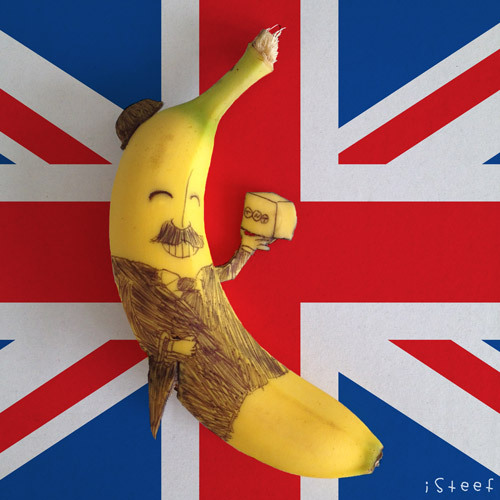 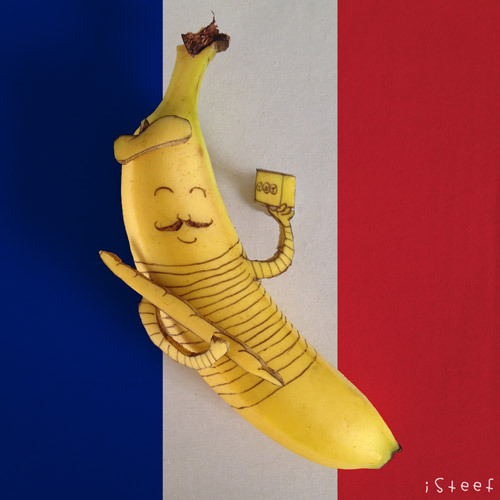 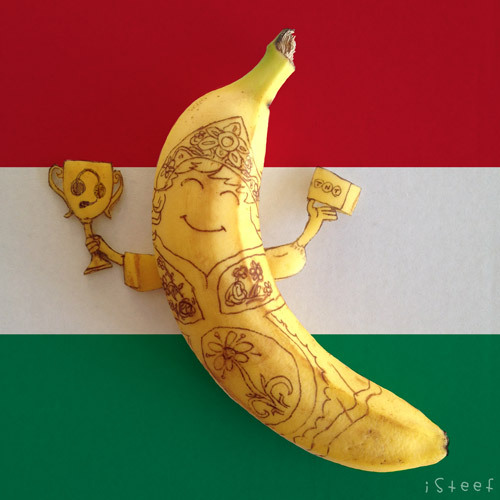 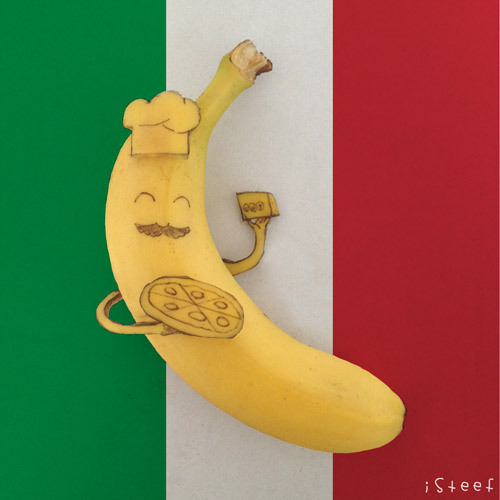 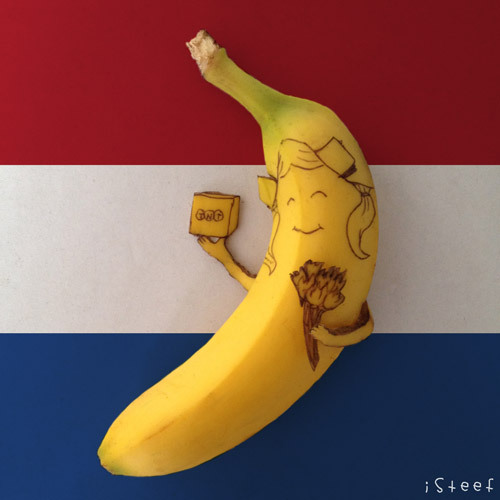 I came up with different fruitdoodles for each country and a making off video of one of them. 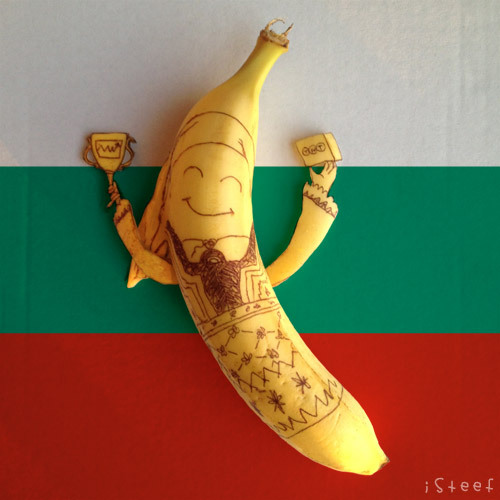 Later on they asked me add a few more countries to so they could give them away as prizes for an internal competition at TNT Express.